In the Tibetan Buddhist Tradition one of the most powerful and practical practices for life is the Medicine Buddha Practice. 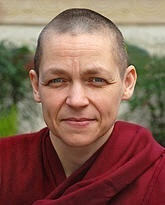 Whether one is Buddhist or not, practicing Tantra or not, this practice is very potent and special. Some of the main benefits include: purification, healing sickness (both mental and physical), helping yourself and others at the death-time; helping overcome problems, bringing success and fulfilment of your good wishes and pacifying harm from the elements. Join Venerable Angie for a weekend of practice and instruction on how to combine recitation of the Medicine Buddhas names, visualisation, mantra recitation and meditation to receive an effective transformation in your life and heart. 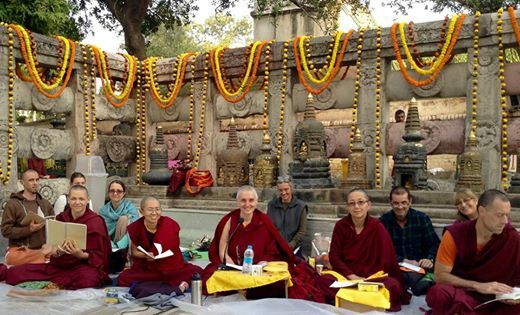 Venerable Angie Muir (left) at the Mahabodhi stupa in Bodhgaya, India, place of Buddha's enlightenment.